When I first saw this toon, I thought it was about Gene Abdallah’s fascination with urine. Remember what the State Legislature told us last year? They had to repeal IM 22 because one circuit judge who is a partisan hack for the Republican Party said he felt parts of it were unconstitutional. So what do our constitutional geniuses decide to do? 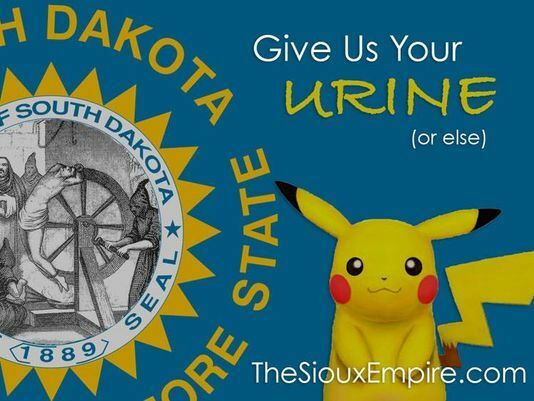 They want to ban anyone from altering the state seal. 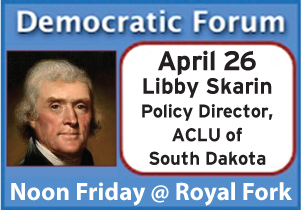 Libby Skarin, policy director for the American Civil Liberties Union of South Dakota, said the legislation is in conflict with the First Amendment, which protects freedom of expression. “It’s not a road that’s constitutional and it’s not a road we want to go down,” Skarin said. Peterson said she wasn’t aiming to address Mehling’s image with her bill, but advised those using the seal without express permission to reconsider. While Peterson is concerned about how some shirt was made (maybe call the prison and have them fix it) it’s no reason to make a law that is clearly a violation of the 1st Amendment. Over the past 12 years that I have been blogging, you can’t imagine the crap I have heard about my political cartoons. First off, you can’t make a law that stops people from altering the state seal and secondly this proposed legislation just proves, once again, how F%#@ing Stupid our (mostly Republican) state legislature is. We should pass a law that requires our legislators have a higher IQ then monkeys. 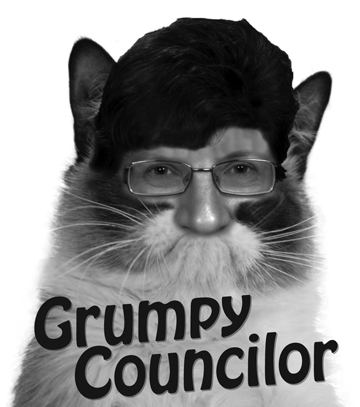 Seems councilor Erpenbach had a change of heart, and decided that searching un-registered rental properties and charging them for it, probably doesn’t pass the smell test, OR the Constitution test. Seems the DRAFT ordinance has a couple of changes (DOC: rental-register). It seems the ‘Search and Destroy’ portion of the DRAFT ordinance has disappeared. The ghost of Q-Tip is still haunting us at Sioux Falls City Council. Let’s see how many years has it been since he quit the Council to join the Boom Town mayor’s administration so he could quit there to now lead the Pavilion? Does it matter? Not really but here is the old proposal to allow the town’s code enforcers to abuse citizens and property owner’s Constitutional rights preventing unlawful searches. You know unlawful seizures get to follow, just because they can. Have you heard our esteemed code enforcers are back searching property when no one is home just because they can sneak in? They got caught by Cameraman Bruce illegally standing on a 6′ ladder taking pictures over a 6′ privacy fence one day. The judge was none too happy by this crap. These fine upstanding quasi-legal (or are they quasi-illegal) government employees don’t care when they get slapped down in court by a judge as long as they have the city attorney’s blessing to keep do that thing they do. Oh well, just another day at the office. Listen to the public and several Council members sink this current proposal just by asking very legitimate questions. If a property owner signs up on this list so it is easier to contact the owner, why do the enforcers ignore the information they seem to have in their own files and require owners keep up to date? Who is the list actually compiled for and why? Why bother being legal when we have great apologists ready to change laws to justify the bad behavior. The proposed ordinance was set aside for now in the City Council Land Use committee on April 18, 2017 because it was both illegal and stupid. It was nice Michelle Erpenbach and committee Chair Rick Kiley set aside and allowed the public to speak, another precedent knocked down. Is Sioux Falls City Councilor Erpenbach proposing a possible unconstitutional ordinance? In order to get property owners who rent to register with the city, they are threatening inspections to those who do not comply to registration at the Land Use Committee. Searches and seizures of private property IS legal, with a warrant and suspicion of criminal activity. This must be issued by a JUDGE, and the search conducted by law enforcement. In other words, if you see a property that has these kind of things going on, CALL 911! Not the health department or code enforcement. While I don’t have an issue with ASKING renters to register with the city, if they DON’T, that is no reason to treat them like criminals, as long as they are paying the appropriate taxes on revenue from the rentals. So ridiculous! This is like Civics 101 for 1st Graders. It doesn’t take a constitutional scholar to realize the ordinance the city is attempting to repeal is a clear violation of 1st amendment rights. Doesn’t matter what city board you may sit on, nobody can hamper your free speech rights which include giving money to a candidate. While ethically questionable in some cases, completely legal. So why has the city decided to now repeal this unconstitutional ordinance after a recent election (Item #B)? Makes you wonder how many appointed officers violated the ordinance in the past or even in this past election? Hey good for them, they were well within their rights. It’s the timing that smells fishy. Second Circuit Court Judge John Pekas is scheduled to hear the case at 1:30 p.m. Monday in the Minnehaha County Courthouse. No matter where you stand on the law or legal language of these statutes, it all seems irrelevant to me. Any document or settlement produced using tax payer money should be made public. It’s not like we are protecting the integrity of a man who shot himself with a 5-foot branch and a rifle in a grove of rural trees, this is about siding that was poorly installed on a building. Who are we protecting? I also find it even more ironic we are spending MORE tax dollars on private attorneys to keep something a secret. Screw who won the spelling bee here, that should be a red flag enough to tell us something truly needs to be hidden. Our intrepid mayor of Sioux Falls seems to think the US Constitution, Charter and written laws are brick walls to overcome. Listen to him discuss his quest to make over the city into his image at the Neighborhood Summit on November 14, 2015. His “to hell with the laws, Council and citizens” must be overcome if we are to have a clean and safe city for all. 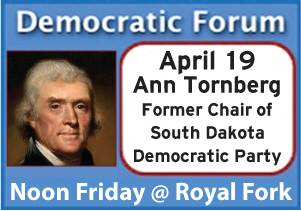 The brick walls he is upset with are based on rights guaranteed by our U.S. Constitution, South Dakota Constitution and the Sioux Falls Home Rule Charter. Why does no one challenge hizzoner when he defends his administration’s lawbreaking actions? In this Summit part 1 Mayor Mike let’s us in on his lawless vision of government by and for the specials at the expense of the rest of us. 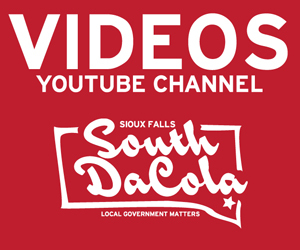 Since the city of Sioux Falls heavily edits or blocks meetings videos we now offering a direct link to our collected city videos through www.siouxfall.org. 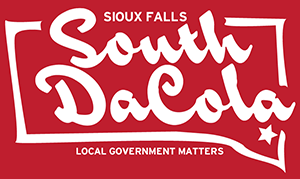 Mayor Mike Huether’s office was informed yesterday that the Becket Fund for Religious Liberty was planning to acknowledge the City of Sioux Falls and also Mayor Huether in a news release issued today. This relates to the City’s Paint the Plows program, which uses student artwork. “Sioux Falls is becoming more and more diverse every day, and that is something we celebrate here. We value diversity and differing opinions. Everyone is important in our town,” says Mayor Mike Huether. This year, inspired by the good cheer and common sense of the Mayor Mike Huether of Sioux Falls, we are bestowing the city of Sioux Falls the (momentary) Ebenezer award but promptly toasting the mayor. Sioux Falls was our #1 contender for the Ebenezer award after it notified a private school that the city snowplow blades its young students had labored over and decorated would be repainted and censored. Why? Because the students had decided to celebrate the season with—gasp!—artwork celebrating the religious nature of Christmas. The city, which had previously accepted religious art, momentarily lost its way when one lone atheist claiming to be part of the Siouxland Freethinkers filed an informal complaint. The irony of this is that the Mayor is using city resources (Website, IT and Communications public employees) to applaud an award from a Religious Organization that promotes religious liberty (infiltrating government with theocracy). He demonstrates he still doesn’t understand the US Constitution OR the Establishment clause, and further uses tax payer resources to promote a specific religious view. Mike, if you want to brag to your friends at church or to your co-workers about the award, go for it ‘Mr. Wear My religion on my sleeve’ but stop using tax dollars to promote Christianity. A third early president—Andrew Jackson—was similarly convinced that the Establishment Clause prohibited presidents from declaring a national day of prayer. Though a devout Christian, Jackson was prepared to veto a proposal by Senator Henry Clay to declare a day of prayer and fasting. His veto message would have explained that, although he personally was convinced of the “efficacy of prayer in all times,” the Constitution “carefully separated sacred from civilian concerns,” and accordingly he believed it his “duty to preserve this separation and to abstain from any act which may tend to an amalgamation perilous to both.” Jon Meacham, AMERICAN LION: ANDREW JACKSON IN THE WHITE HOUSE 207 (2008) (quoting draft veto message). Once his opposition was made known, the proposal died without the need for him to veto it. Id. Reminds me of the time I was in the back of a cruiser, handcuffed, and AFTER the officer read me my miranda rights he says to me, “May I ask you some further questions?” and I said, “Well, unless there is an attorney sitting next to me in the back seat, no you cannot.” He grunted, and put the car in drive and never spoke to me again. The funny part about it was, he whipped out a list of questions before he asked me that initial question. I knew where this was going. Entrapment.